When training your body, whether for competition or to achieve its maximum performance, balancing your diet and nutrition intake is vital. Ensuring you’re receiving all the necessary nutrients and macro-nutrients in an appropriate amount, will see your body transform into the perfect sculpted physique. In order to achieve this, Fitness Market has all the best pre-workout supplements you need to enhance any training session and maximise your output. The best way to do this is to have a balanced nutritional diet. In addition, by feeding your body the necessary proteins and supplements, both before and after a training session, you will enable your body to perfectly perform with maximum efficiency. Imagine feeding your car octane boosted fuel prior to a long drive, then after the drive filling it with more fuel to keep the engine running at maximum efficiency. It is the same for your body; feeding it the vital nutrients and proteins prior to a workout will ensure you achieve maximum output during your workout session, and feeding it the necessary post-workout supplements will ensure your body continues to work and grow muscle mass, and maintain a lean body build. Pre-workout supplements have a stimulating effect on the body and the mind. Packed with ingredients like guarana, caffeine and other amino acids, pre-workout supplements are designed to provide focus, motivation and energy prior to a workout to give you the boost you need to push yourself to the limit. Originally developed using Nitric Oxide for vasodilation of blood vessels for increased oxygen and blood flow to targeted muscle areas, pre-workout supplements progressed to integrate stimulants and mood enhancers to give you the ability to push yourself mentally as well as physically during your workout. The use of Nitric Oxide in pre workout supplements allows your muscles to relax with an increase of oxygen, meaning they will be worked harder during your workout resulting in increased muscle size over time. Nitric Oxide actively enhances and increases muscle mass by allowing your muscles the relaxation they need prior and post workout sessions and eliminating the often debilitating Delayed Onset Muscle Soreness (DOMS) for a more successful workout. There are a number of extremely successful pre-workout supplements available these days, which Fitness Market is able to advise on. There are popular concentrated pre-workout supplements which allow experienced users the ability to stay focussed and positive-minded for a longer, more intense workout period. Providing mental stimulants and mood elevators concentrated pre-workout supplements are for experienced users only. Alternatively to concentrated supplements, there are stimulant free (or commonly known as stim-free) pre-workout supplements which give you all the pump of regular pre-workout supplements without the energising stimulants that can over-stimulate the body and mind. Designed for those who work out later in the evening or want more of a relaxed but effective session, stim-free supplements deliver all the punch without the lasting mental alertness which often gets carried over into other daily activities. The benefits of stim-free supplements are varied and include the omission of energy formulas and complexes which often include added sugars and vitamins. Stimulant free pre-workout energy supplements give you all the pump and power without the hit of energy that keeps you wired. Post-workout supplements allow your muscles to recover and repair quicker than they normally would after an intense workout. Actively reducing muscle soreness, post-workout supplements must be taken within a specified time-frame after your workout for them to have a successful effect on your body. The active ingredients basically enter your system and latch onto exhausted and depleted frayed muscle fibres after a workout, helping with the recovery. Post-workout supplements are able to assist with the repair, recovery and growth of these muscles, feeding them the necessary nutrients they need to repair faster and more efficiently. There are many varying forms of post workout supplements all of which include the key ingredient Creatine. One of the most studied sports supplements ever, creatine is able to effectively assist in building leaner muscle and increasing strength and size of your body’s targeted muscles. When integrated into your daily diet and included in both your pre-workout and post-workout supplements, creatine can effectively enhance energy levels, actively assisting your anaerobic strength and endurance so you can exercise harder for longer. The inclusion of this ingredient in post-workout supplements is important in nurturing the exhausted muscles and repairing them so they can gain size and strength, and are ready to go on your next training session. Bodybuilding supplements are the most efficient way to feed your body before and after a workout, as they have minimal inclusions of other macro-nutrients such as fats or carbohydrates. Bodybuilding supplements are very popular and Fitness Market has the best in all sports supplements available at fantastically affordable prices. To get yourself in the best shape of your life and stay lean and ripped, browse Fitness Market’s huge range of online or in-stores and notice the different they can make to your body. 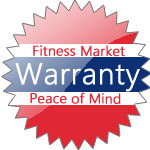 At Fitness Market, we can provide all the expert advice you need on pre-workout supplements. We have qualified staff that can provide guidance on the most suitable supplements to have before your workout, and after to help with recovery. Contact Us or phone us and we will be happy to help you.